It is a universal experience of humanity to search for a place of belonging. Many of those who are drawn to the Occult have found solace and community by joining a Coven. If you are lonely and seeking the connection of others, you should also join a Coven. To begin, you must first and foremost figure out where your ultimate goals lie. There are many paths and not all of them are going to be right for you. Once you have figured out where you want to align yourself you must now find, or create, a group of similarly inspired individuals. Covens work together and engage in Rituals accordingly. Every Coven is different and creates their own set of rules and practices; just like families do within their own homes. So even if it is a well-meaning Coven, it could be a bad fit for you personally. Location and Travel Time: Is this Coven close to home or do you have to travel hours? Where is their Covenstead- the grounds for practice? Social Compatibility: Do you have common interests? This can be anything from hobbies to their choices in music. Beliefs and Values: What Rituals and Ceremonies do they take part in? What tools do they use? What are their goals? The Coven’s Behavior: Are they happy? Friendly? Is there mutual respect? Growth Potential: Are you able to learn from Higher Initiates? Are you able to work up to higher degrees? Is there First, Second and Third Degree Initiation? Local occult shops and bookstores where they may have advertisements or newsletters for Covens. You can also meet people there that can help point you in the right direction. 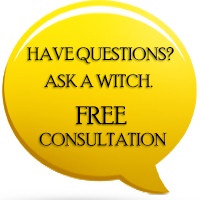 Online resources and forums such as Witchvox.com. Take a class or workshop, such as meditation, yoga, wellness, belly dancing, homeopathic etc. Roleplaying communities such as medieval reenactment. Community festivals and public gatherings to celebrate Occult Seasonal Celebrations. Start your own Coven by finding like-minded practitioners whom you already know. Resist the temptation to join the first Coven you visit, until you are able to make an educated decision. It must feel right to you because the Coven will become your new home. Being part of a Coven is a real commitment but also rather rewarding. If you are willing to undertake the challenge of improving yourself and helping humanity, then you belong in a Coven. You have much to give, so go forth and find your place. I am seeking a coven, anywhere between Lexington Ky and Florence Ky. I was a first initiate in a coven in Louisville Ky, but I moved and thats too far away. Anyone closer to the Dry Ridge Ky, area? Thank you very kindly for this article, and for providing suggestions where one can search to find a coven. I am lonely, and am open to meeting other individuals who wish to develop their craft (I wish to learn about the craft); in addition, I wish to improve myself and help humanity as well. All blessings on everyone. I live in Chicago and I am looking for a coven of positive open minded people that love life, people and the earth. And a plus would be people that are raw/vegan.